We’ve had Chromatics on heavy rotation on our iPod this year. Just check out the ice-cool and dreamy video ‘Candy’ featuring singer Ruth Radelet reading Helmut Newton’s Pages From The Glossies book. 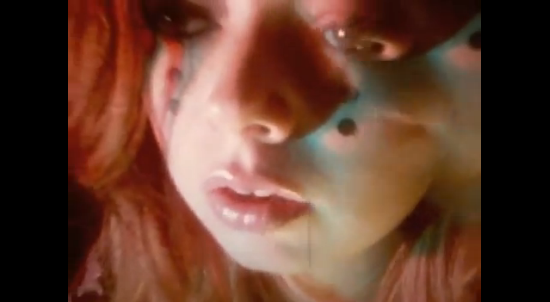 Chromatics is a dark dance-pop outfit out of Portland, Oregon. In fact, Glass Candy fans will recognise Chromatics for its multi-instrumentalist producer Johnny Jewel plays in both bands. Ruth, guitarist Adam Miller, drummer Nat Walker and the aforementioned multitasking musician somewhat disappeared after their successful 2007 album Night Drive but resurrected at the end of the last year with a score ‘Tick Of The Clock’ featured in Nicolas Winding Refn’s movie Drive. The song was not a big hit, but we recognised (loved and missed) the melancholic and nostalgic mood of Chromatics’s music. The band is known for their understanding of the fashion language and their beautiful aesthetics in their music videos directed by Alberto Rossini. Alberto is always on the money and perfectly translates the hazy atmosphere of the sound into visual deliciousness. Their fifth single ‘Back From The Grave’ off ‘Kill For Love’ is a great dancefloor heater.